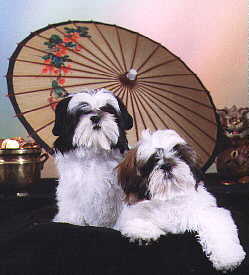 Wenrick Shih Tzu have gained an International reputation as some of the world's finest dogs and are sought after by discriminating breeders the world over. 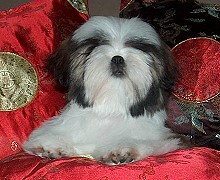 Wenrick Shih Tzu have become the foundation stock for many breeders in many different countries. 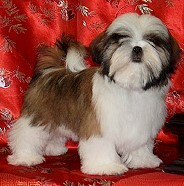 We also have Shih Tzu available as loving family pets. If you are contemplating purchasing a family pet, please look at our Owner's Manual which is given with each of our puppies. It contains a lot of useful information about care, feeding, grooming and health concerns. 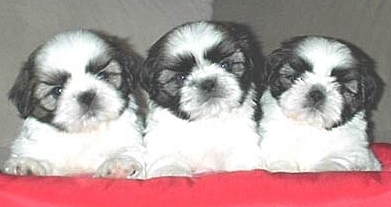 All Wenrick Shih Tzu come with a full health guarantee against any hereditary or genetic defects. Wenrick Shih Tzu have outstanding temperaments and are lively, affectionate and friendly. They have large, broad round heads with large round eyes and a warm trusting expression. They are well bodied, with sound straight front legs, level toplines and beautiful tea cup tails. Their gait is effortless, smooth and flowing with heads and tails held high. The coats are long and luxurious. Our breeding program has resulted in our producing a consistent type as described above that is easily recognized in the show ring or in a family setting. Quality and high standards are important keynote words at Wenrick and the dedication required to attain our goals is evidenced in our success.